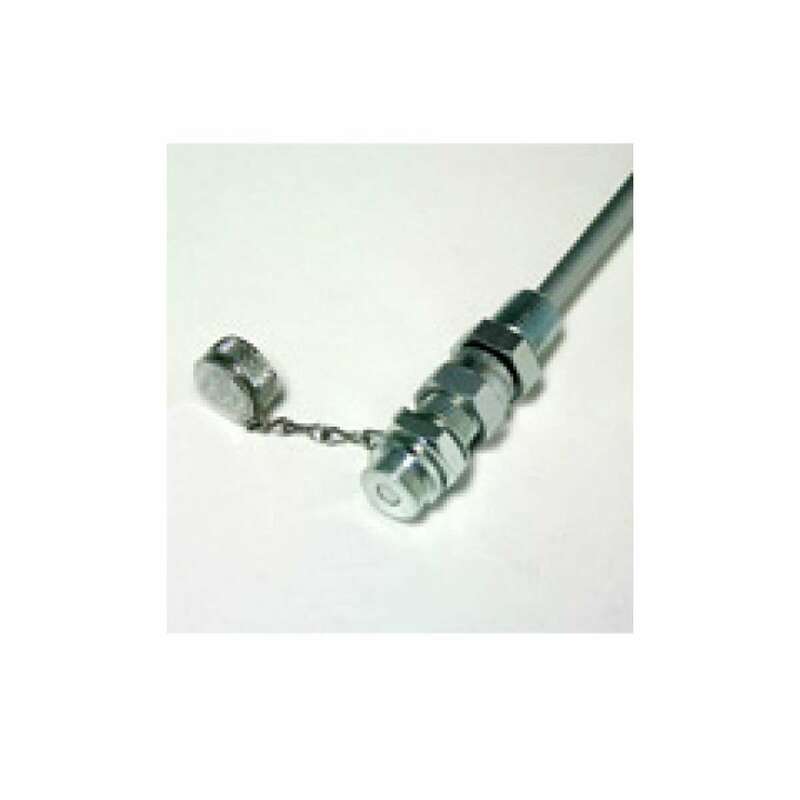 Fixed with a 1/4" NPT fitting and 1/4" stainless tubing, the Fixed Pitot Tube adapts directly into your equipment for simple, single component installation which is a safe, solid integration to most mechanical components. The M16 x 2 sample port provides environment isolation for sample integrity and the built in dust cap protects the sampling area when not in use. The O-ring equipped in the M16 x 2 dust cap provides second stage leak protection. Available in 12", 18"and 24" standard sizes, Lubrigard Pitot Tubes can be user modified to meet all your sampling needs. The Fixed Pitot Tube is also available in several custom sizes and lengths. With a swivel adaptor installed the Lubrigard Pitot Tube can be bent to accomodate sampling ports above the lubricant level. Consistently & precisely samples active oil, VG 32 to VG1000 without shutting down. Samples up to 5 times faster than most other valves including B series 16x2. Avoid accuracy errors of drain or drop tube sampling caused by sedimented or settled oil. Installs compactly into drain, fill or custom ports of gearboxes, reservoirs, drives, axles or lines. Flexible steel 1/4" tubing provides full flow with low purge time. Custom lengths and bent tube swivel options are available for confined locations.